REDUCED $100K. Paris in New York. 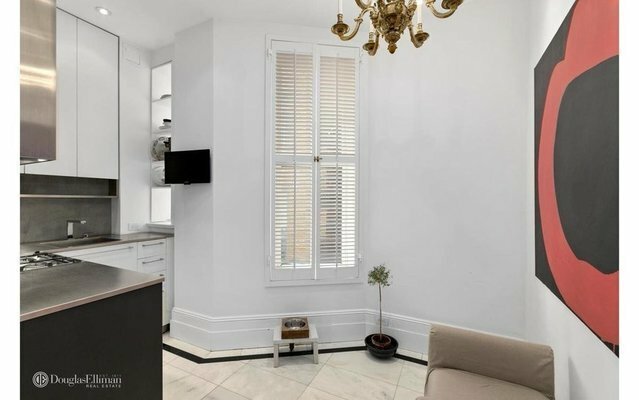 Completely renovated 2 bedroom, 1 bathroom and adjacent to The Carlyle Hotel. Enter through a quiet hallway off the main lobby into this meticulously renovated apartment. Much of the original details of this Pre-war Upper Eastside apartment have been brought back to it's original period. This stunning apartment exudes old world European details with ornate and intricate wood moldings and over 10 foot ceilings with state-of-the art lighting. The floors are Italian marble and hardwood. There are large windows in every room with North and East exposures. The eat-in modern kitchen has Sub-Zero refrigerator, Fisher&Paykel dishwasher and a Bertazzoni gas range with stainless steel countertops and a Dorn Bracht faucet countertops. The floor to ceiling white marble bathroom has a bathtub and shower with double sinks all by Waterworks. There are decorative fireplaces in the Living Room and Bedroom with double French doors throughout.The Imperial Cooperative is a rare and well preserved architectural gem designed by renowned architect in 1883. Perfectly located between Madison and Park Avenue and a block and a half from Central Park. Enter this landmark building through glass and wrought iron doors one feels transported back in time. The elegant lobby has intricate mosaic tiled floors, marbled walls and seating. There is a doorman on duty from 8am-midnight, 7 days a week. Laundry room and storage in the basement. Pied-a-terre, pets and sublets are permitted! !